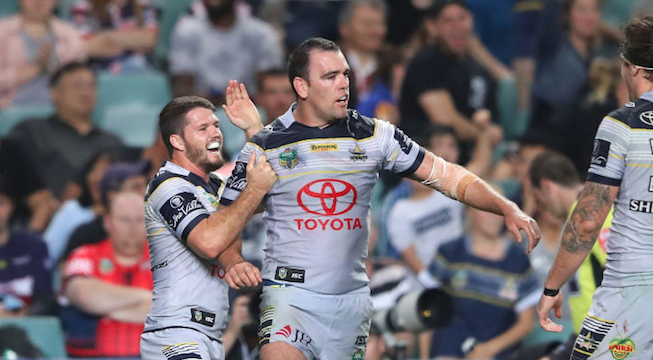 Hull KR have signed NRL Grand Final winner Kane Linnett on a three-year deal from North Queensland Cowboys. Linnett won the NRL with the Cowboys in 2015 after starting his professional career with Sydney Roosters in 2010. He has made 185 NRL appearances in total. The 29-year-old has also earned five international caps for Scotland, who qualified to play for through family heritage. On joining Rovers, Linnett said: “I always wanted to finish my career in the Super League, I’m really excited to get over there and meet a new bunch of boys, get settled in, work hard and hopefully have a good year. Hull KR head coach Tim Sheens commented: “Kane is obviously a very experienced NRL player with over 180 first-grade games, he’s 29 years old and plays both centre and second row which will give us a lot of depth in that area. Linnett will join up with the rest of the Robins squad at the end of November once his visa and paperwork have been granted.